For medical device manufacturers seeking the best electronic quality management system software (eQMS), evaluating solutions based on ISO 13485 can offer numerous advantages for global compliance. The IS0 13485 standard is an internationally recognized foundation for quality management in medical device manufacturing which is required by regulatory agencies in Europe, Canada, and many other countries. 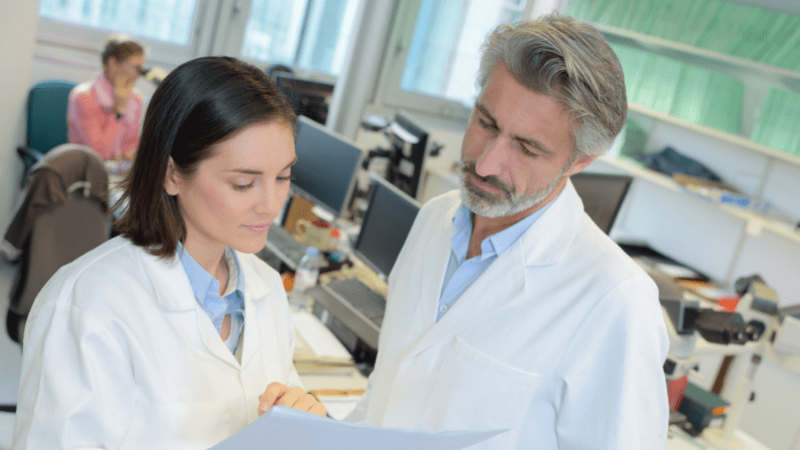 While the US relies on the FDA Quality System Regulation cGMP, an ISO 13485 quality management system can support compliance with applicable cGMP and help your company prepare for future regulatory changes. According to the Spring 2018 proposed rule “The Harmonizing and Modernizing Regulation of Medical Device Quality Systems," ISO 13485:2016 may soon replace 21 CFR Part 280 regulations for medical device quality systems. Effective quality practices are critical for medical device manufacturers to create reliable, effective products for the market. ISO 13485:2016 adapts and expands the foundation of IS0 9000 and 9001 for the unique demands of medical device safety standards. In this post, you'll learn how to evaluate the best eQMS for compliance and certification at your medical device manufacturing organization. The ISO 13485 Standard is a prescriptive framework to meet the requirements for a Quality Management System (QMS) in the medical device industry. QMS software is built on the ISO 13485 framework to support quality control, operational efficiency, regulatory compliance, and the manufacture of safe medical devices. Any eQMS designed for medical device manufacturers should offer built-in support for the adoption of the ISO 13485 framework methods and processes. While ISO 13485 has similarities to other international standards for quality management in highly regulated industries, it has unique requirements for QMS documentation and system validation. The best QMS software for small-to-mid-sized medical device manufacturers in 2019 is defined by simplicity, scalability, and reliability. ISO 13485: 2016 introduced new requirements for system validation. According to Section 4.15, any application used to support medical device manufacturing or development requires validation. Organizations should take a risk-based approach to prioritize system validation, with mission-critical systems such as QMS requiring the most extensive validation. Validating your QMS can reduce regulatory and safety risks by ensuring useful documentation and safeguards. While there are clear quality benefits to system validation, it can also present resource barriers for startups and SMB in the medical device manufacturing industry. Without full-time IT resources, it's necessary to outsource validation and revalidation processes to a trusted vendor. The best QMS for ISO 13485 should offer simplicity in fast, cost-effective validation and up-to-date packages which can be executed with a minimum amount of resources. The principle of simplicity should also guide your search for the best solutions which offer extensive features at an affordable cost without having to dedicate full-time IT staff to run the system. A QMS system should provide essential functions such as document control, training, and the ability to expand to other systems such as CAPA as you approach product approval. The potential of an ISO 13485 eQMS to scale is an important consideration that many organizations neglect when evaluating the best solutions and vendors. Scalability is an especially important factor for startups, scale-ups, and other fast-growing medical device companies to consider. A system should be sufficiently robust to comply since regulatory agencies don't consider the size of your company during the pre-submission process for devices. During the beginning phases, your eQMS should offer basic components for document control, training, and risk management. As you grow, the eQMS should expand to cover testing and other procedures to streamline product submission. Acquiring a simple system based on ISO 13485 standards can facilitate the process of scaling compliance and quality during growth phases. Your system should accommodate your current needs and offer an expanded feature set as your needs evolve. The best ISO 13485-compliant systems can increase market valuation by providing the potential for easy data export if your organization is sold to a larger market player. The majority of medical device manufacturers are reliant on a small, global talent pool for research and development. According to MedPac, 73 percent of device companies have 20 or fewer employees. A cloud-based ISO 13485 QMS software is a critical tool for effective collaboration among a distributed workforce. When evaluating the best vendors, consider their uptime, or record of system availability, to ensure your eQMS will be reliable. Nothing is worse than getting 15 seconds in front of an executive for a signature and finding your system is down. Mobile functionality is also a critical feature for many startups and small firms in highly regulated industries. Finding a solution which works seamlessly on mobile devices can streamline productivity for small, busy teams. Mobile features for document review and approval can be a significant benefit if your executive team is continuously traveling to raise funds. Finding the best ISO 13485 Quality Management System software can be an essential benefit for medical device manufacturers at all stages of the product lifecycle. Regulatory agencies dedicate significant effort to ensuring medical device safety during premarket approval processes. A QMS software can establish a stable baseline of data to demonstrate compliant, quality-driven operations and safe device manufacture. Qualio is the first cloud QMS software designed to incorporate ISO 13485 and FDA requirements for medical device manufacturers with 250 or fewer employees. ISO 13485:2016 significantly expanded requirements for system validation, including an explicit requirement for compliant organizations to obtain QMS validation. Our software includes updated validation packages for clients to execute to maintain continuous compliance with regulations for medical device safety. Qualio is built to ISO 13485 standards for medical device manufacturers and organizations in highly regulated industries to create a simple, scalable approach to quality-driven culture. Test drive the leading ISO 13485 eQMS software today with a free demo.